Player Zone: Is Patrick Bamford the man to lead the line for Leeds in the Premier League? Leeds United maintained their momentum in the Championship title race with a 3-0 win over relegation-threatened Reading at the Madejski Stadium on Tuesday night. The Whites went ahead via a Mateusz Klich strike before a well-taken Pablo Hernandez brace sealed the points. It would have been a far more emphatic margin of victory, though, had Patrick Bamford managed to convert any of his numerous goal-scoring opportunities. However, the No. 9 failed to be clinical and spurned the chances. Since signing for the Yorkshire club in the summer, Bamford has endured an injury-hit first campaign at Elland Road. The 25-year-old has only managed fourteen league outings so far. As per Transfermarkt’s stats, the striker has racked up six goals in that time. Despite his struggles against the Royals, Bamford has certainly been in good form recently. However, he is a striker who often needs a number of chances to present themselves before he is able to take one and score. This is a luxury he can be afforded in the Championship. In the top flight though, which Leeds are aiming for, such profligacy would not go unpunished. Failure to take chances in the Premier League invariably has negative consequences. If the Whites do go up this season, they’ll want to be heading into the new campaign with a first choice striker they can rely upon to be clinical. For all the positives in his game, Bamford does not offer that security or sense of comfort. The Englishman is talented, but doubts over his ability to be prolific at the highest level persist. He may well prove to be the man capable of firing Leeds into the Premier League, but he certainly shouldn’t be the man they invest all their faith in to keep them up there. Danny Mills, speaking on the LS11 podcast, as quoted by This is Futbol, recently stated that “the way he plays is probably better suited to Premier League football.” Bamford is yet to prove he can thrive in the Premier League though, and has had a number of opportunities to do so in the past, with the likes of Chelsea, Crystal Palace, Norwich City, Burnley and Middlesbrough. Of course, he is older now, more experienced and developed, and perhaps more ready to face the challenge of the top flight. However, for Leeds to expect just him and Kemar Roofe to be able to keep them in the top tier next season would represent a huge gamble. 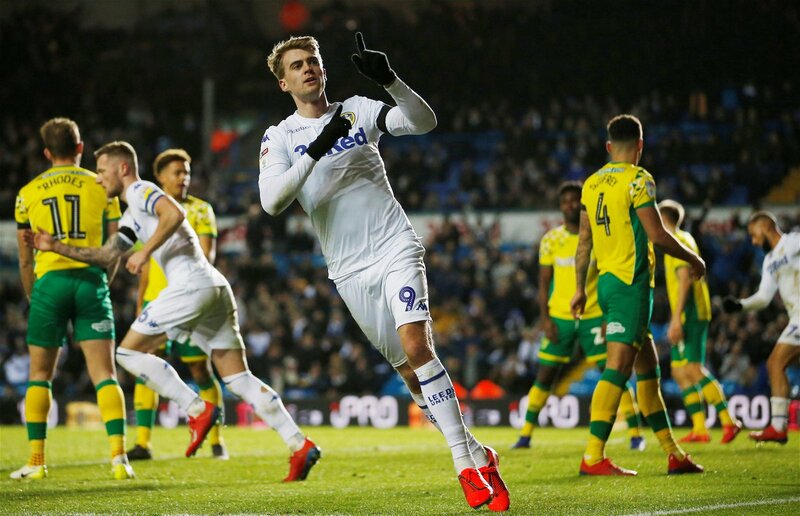 Bamford has the chance to make himself a Leeds hero this season. If he is able to do so, the resulting promotion should be the catalyst for the club’s search for a new first choice striker. Manager Marcelo Bielsa must recognise this reality and be prepared to bring in stern competition for his current strikeforce this summer. A failure to do so would see his side struggle to score the goals needed to compete in the Premier League.